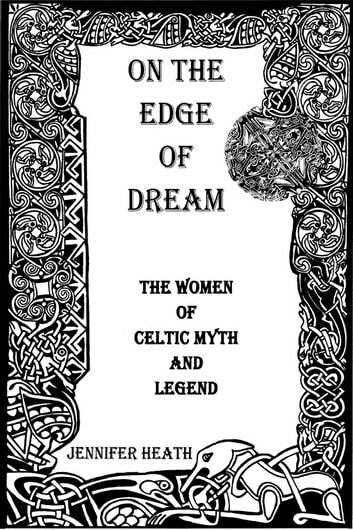 Weaving together fragments of ancient epic texts and the richness of the oral tradition, Jennifer Heath brings alive 15 tales from the pre- and early Christian Celtic world, featuring the powerful, wild and wise women of mythology. From the sea goddess Fand to Cerridwen, who can change her shape at will, to the great warrior queen Criedne, the women of Celtic literature are here celebrated for their ingenuity, spirit, physical courage, and deep instinctual natures. Featuring startling transformations and sweet revenge, bawdy humor and melancholy lyricism, On The Edge of Dream depicts a world where women are freeto choose their own lives and where their struggles -- as timeless as they are human -- have lastingresonance in our lives today. Retold for the modern reader in language that is borth earthy and poetic, these haunting, deeply moving tales exert all the primal pull of great storytelling, awakening memories buried deep within our collective unconscious.